If your cat started drinking heavily, while she lost weight, she had bad breath and sometimes vomiting, any of these manifestations can be regarded as a symptom of the disease. 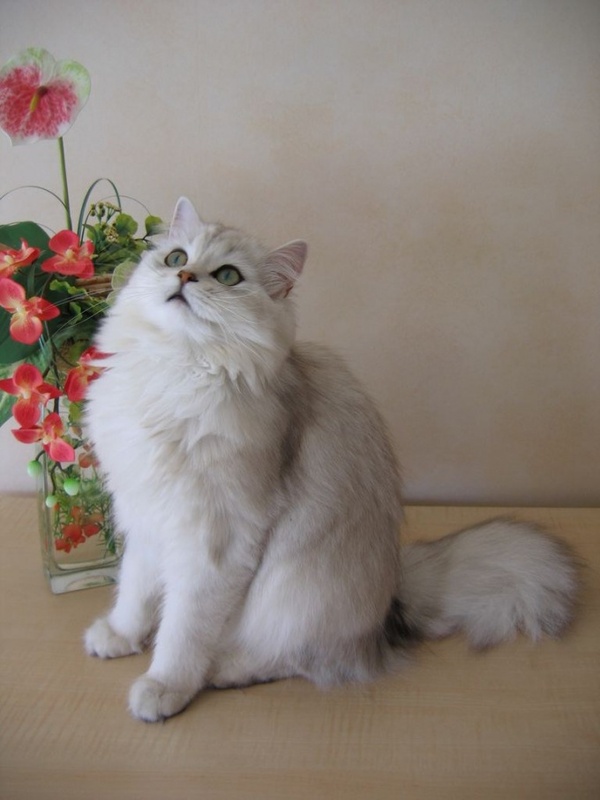 The one who knows your pet, you will find these symptoms are not typical of conventional state and behavior of the cat. In this case, you should immediately contact to the vet because these symptoms of kidney disease. Before consultation of a veterinarian it is advisable for your pet to hold a one-day starvation diet. 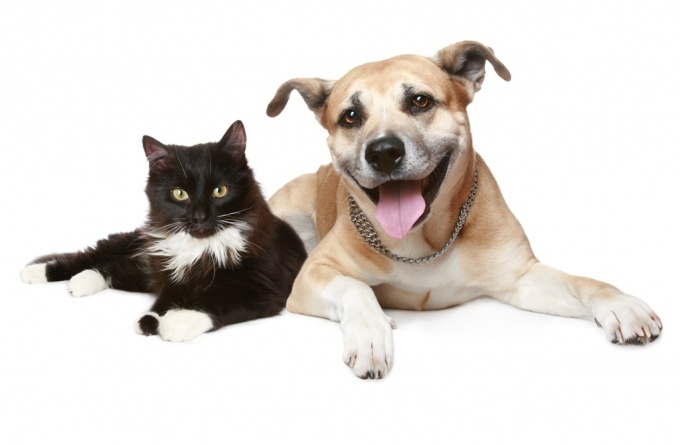 If your pet is diagnosed with "renal failure", check the information about the disease. Renal failure is a progressive disorder of renal function, in which the excretory system fails, and the metabolic products begin to accumulate in the animal body. The disease has acute and chronic. Early detection with appropriate treatment, the life expectancy of a cat is large enough. Therefore, strictly follow the recommendations of the expert. The course of treatment of renal failure consists of symptomatic measures and prevention of development of disease. If your pet is dehydrated, carry out intravenous infusion. At regularly recurring vomiting prescribe antiemetic drugs. If the animal lost in weight, is assigned to a high-calorie diet, appetite stimulation variety of special additives are allowed, and even the introduction of food through a probe. If the disease took a chronic form, except for specialist advice, your cat need additional methods of examination. It usually includes a General and biochemical blood analysis, urine analysis and ultrasonography of the kidneys. After diagnosis follow all the doctor's appointments, monitor the condition of the animal, inform the vet about all the changes in the health and behavior of cats, and protect it from stressful situations. To prevent the development of disease is very important is the introduction of a diet without salt and spices, to limit the release of phosphorus from food. The diet should be based on lowering the amounts of proteins. In pet stores large selection of prepared feeds for Pets suffering from kidney failure. Uremia is an intoxication during which the excretory system of the animal is not able to excrete products of metabolism, particularly nitrogen metabolism. If we translate the term literally, you get "urine in blood". Uremia is divided into two types. It can be acute or chronic. Sharp develops fast, it leads to acute renal failure resulting from trauma, burns, intoxication or urinary retention. The development of chronic uremia occurs gradually, it can take a lot of time. It depends on how long to develop chronic renal failure due to pyelonephritis, urolithiasis, diabetes mellitus, congenital anatomical abnormalities, intoxications, and neoplasms. The symptoms of uremia can be expressed as vomiting, refusal to eat, weight loss, depression, the smell of urea that proceedeth out of the mouth, or a lack of urination. 1) Biochemical and General blood tests. They can be used to evaluate the levels of creatinine, urea, phosphorus, detection of changes in the electrolytic composition, and to identify the presence of inflammation and anemia. 2) abdominal ultrasound. It can be used to assess the anatomical structure of the kidney, to identify available or are no suspensions and stones in the bladder, enlarged if the ureters and the urethra. 3) x-ray of the abdomen to visualize radiopaque stones in the kidney, urethra or bladder. Chronic kidney disease is detected, usually in older animals. Young patients are faced with uremia due to acute urinary retention or due to inherited abnormalities amyloidosis, polycystic kidney disease. Chronic renal failure alters the structure of the kidney gradually. Some nephrons stop working, intoxication (uremia) is accumulated gradually. Due to the lack of symptoms changes can not be overlooked. The more nephrons die off, the more clearly appear symptoms are: thirst and frequent urination, uremic gastritis, and sometimes in the mouth. Owners often seek help too late, when most of the working of the nephron dies. The higher the level of intoxication, the greater the likelihood of developing secondary pathologies. It aregenerative anemia, electrolyte and endocrine disorders, cardiac problems and neurological in nature. The worst consequence of uremic coma. The treatment begins with intravenous drip infusion, the purpose of which is to correct the electrolyte balance and combat dehydration. Treatment is accompanied by tests, including laboratory monitoring of blood gases. Food is assigned a diet with a low content of protein. Among prescription drugs – drugs that reduce the levels of urea and phosphorus, as well as antihypertensive drugs and medicines aimed at the treatment and prevention of anemia. A blood test for detecting renal disease and the early stage of uremia, it is recommended to take periodically when the animal reaches the age of 6-7 years. The consequence of urolithiasis, prostatitis, injuries, cystitis and atony of the bladder may be acute urinary retention. It is easy to determine – the abdomen is enlarged, urination is missing or urge him to be unproductive, vomiting, the animal refuses to eat. This requires emergency specialist treatment aimed at restoring urine flow with correction of electrolyte disturbances with the use of intravenous infusions. All this happens under the control of the tests and ultrasound. Uremia is a serious condition. It requires instant diagnosis and medical intervention. Detected early, it will not harm the pet.